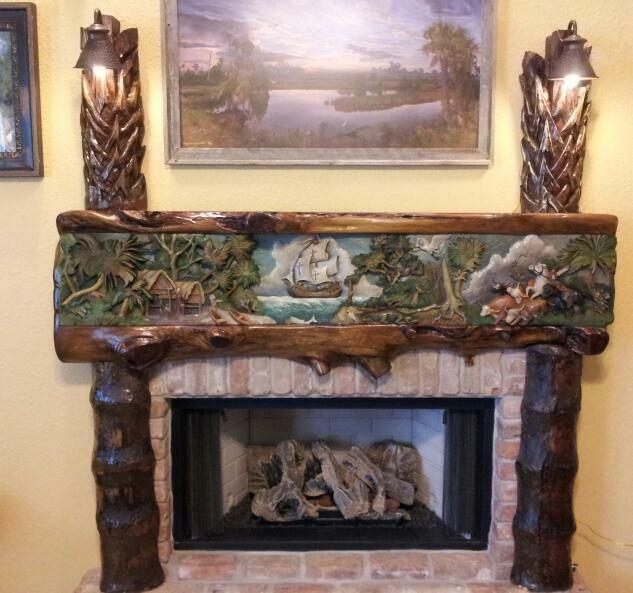 This incredible fireplace mantel was created by artist/sculptor Gil Watson. 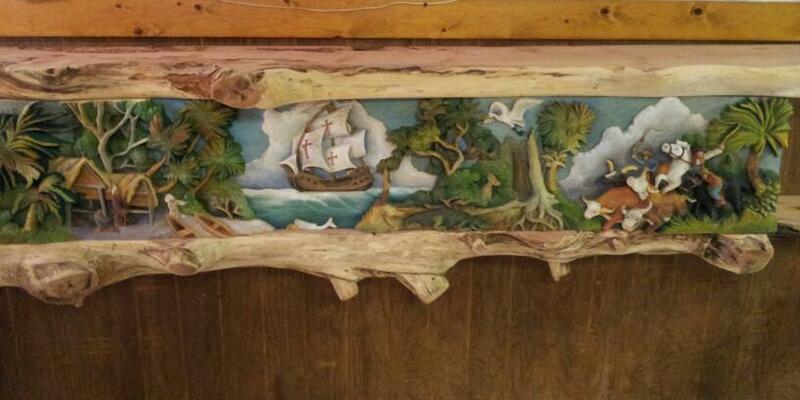 It was commissioned by Elliott Jackson of Plant City for his home. 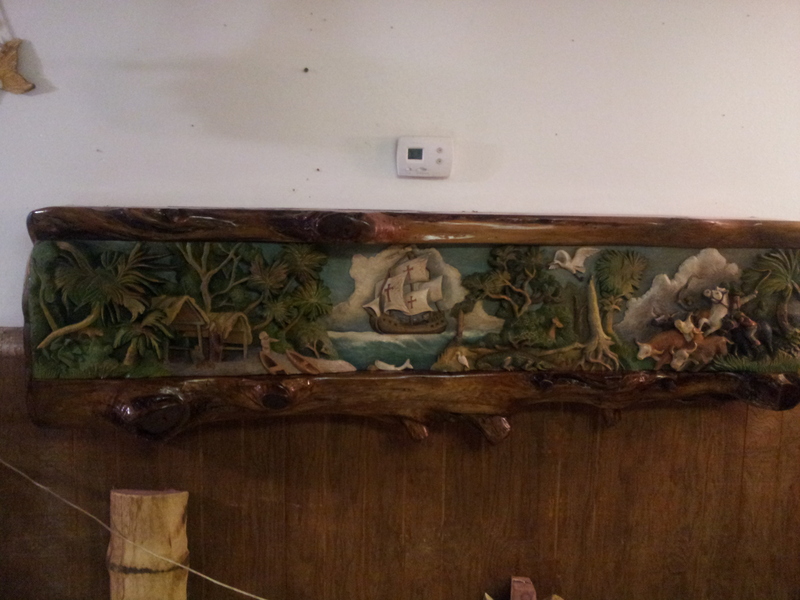 Gil carved the center piece from northern white pine and the casing and palm trees were shaped and carved out of red cedar, which the client had chopped down from his property and had sentimental value. 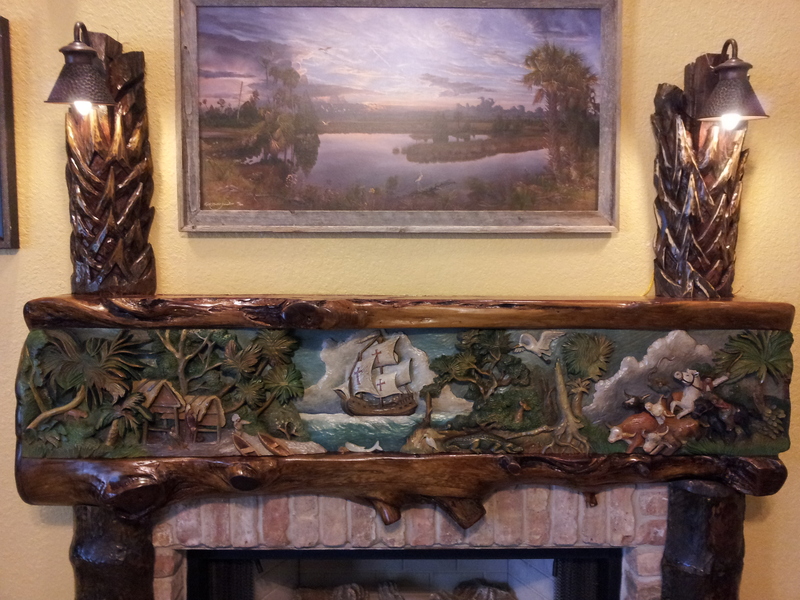 The “history of Florida” composition was something that the client is passionate about and requested that Gil Watson put this into a mantel. 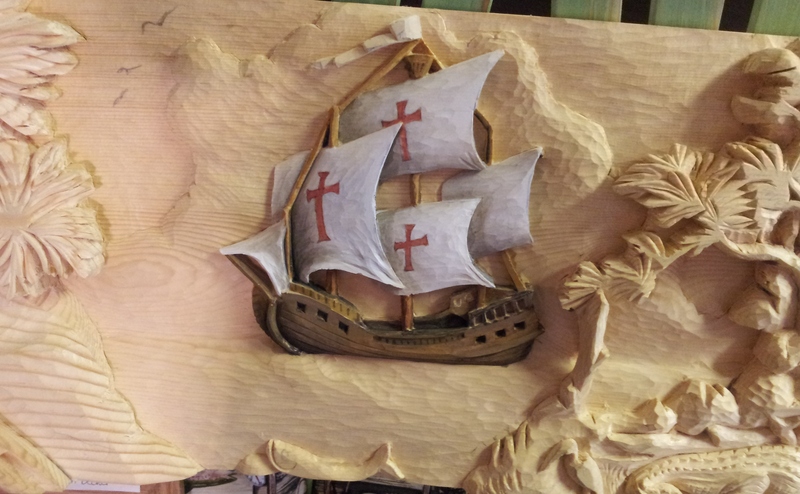 It begins with the Seminole Indians then we see the Spanish arriving, continuing on to the flora and fauna of Florida and lastly with the emergence of the “Cracker Cowboys”. 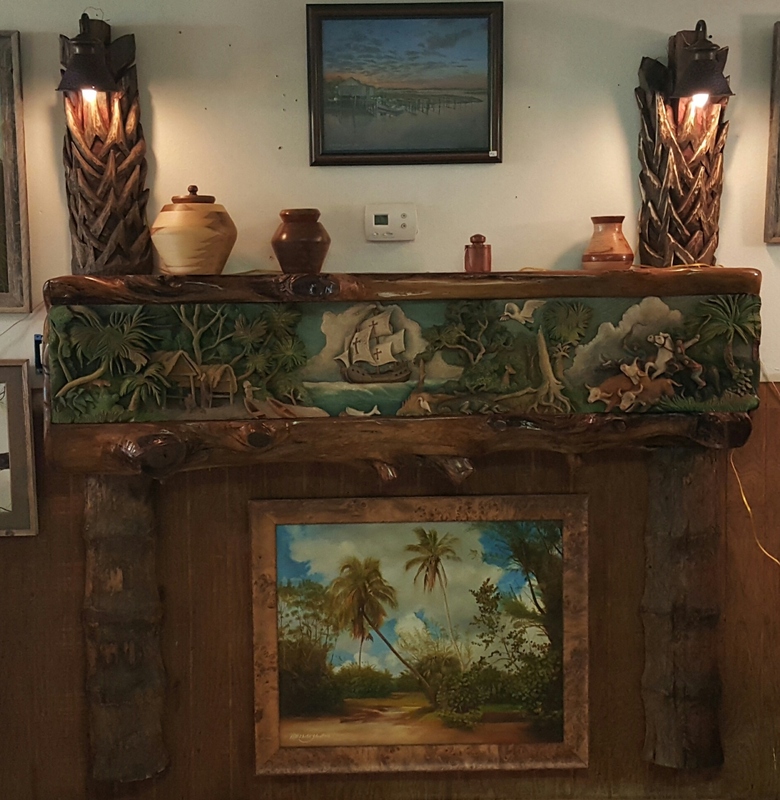 The palm tree supports are hand carved out of red cedar and a lamp was attached to the top of each post to create ambient lighting.